Doc plays the part of a bouncer at Winston’s in a single episode of Entourage. 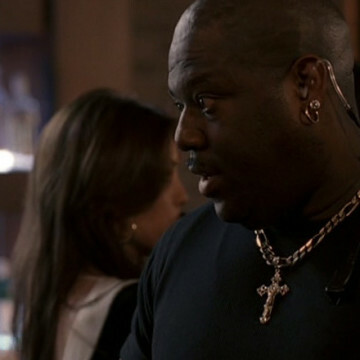 Vince’s encounter with the bouncer at the seventeen-minute mark suggests that they probably knew each other before the night’s visit yet a call between Vince and Harvey minutes earlier leads viewers to believe that the episode’s trip to Winston’s was his first. When Drama sets the Beverly Hills mayor up with one of the bar’s female patrons, Doc’s character quickly steps in and informs Drama and his friends that the woman is actually a man.